If you love stories with angst and emotion, M Robinson is an author who always delivers! Her stories give our hearts quite the workout, but we wouldn’t have it any other way! 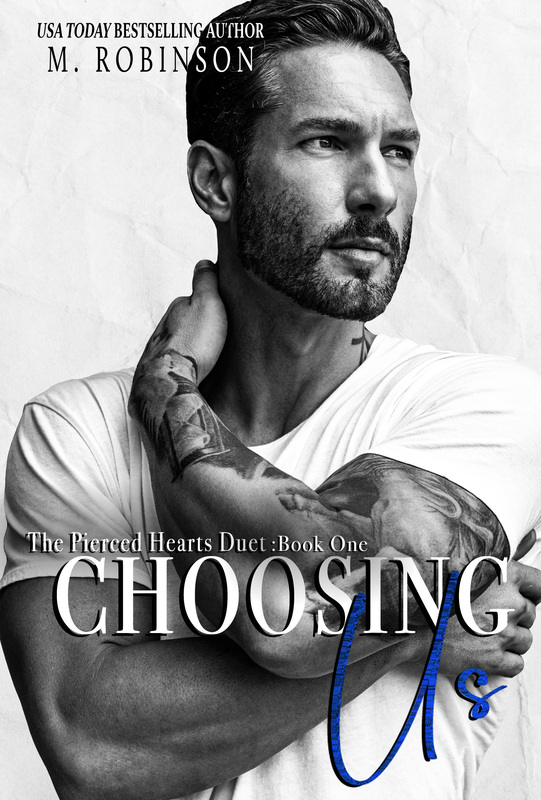 The Pierced Hearts Duet promises to give us those feelings we love experiencing as readers. The ones that leave us breathless! 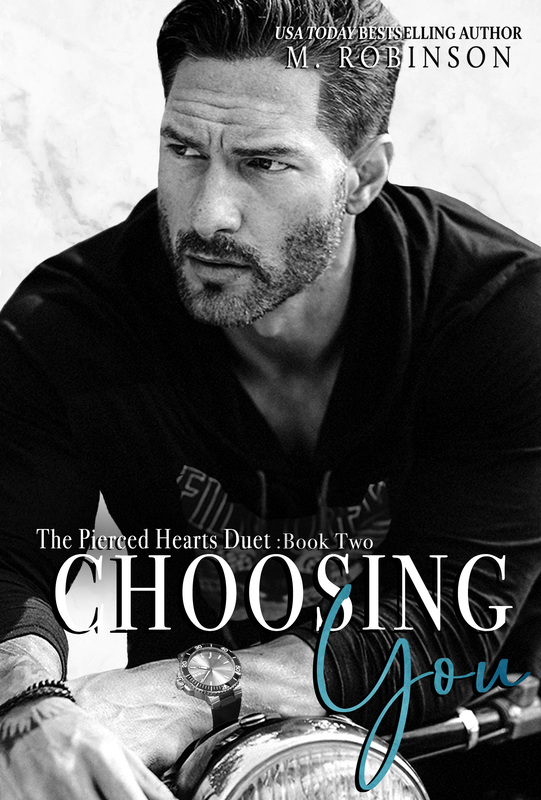 CHOOSING YOU BOOK TWO releases 14th May – Pre Order coming soon! Be sure to check out our M ROBINSON PAGE on the blog for some fabulous recommendations! USA Today Bestselling Author of Keeping her Under The Mistletoe, Lost Boy, El Santo, El Pecador, Ends Here, Keeping Her Wet, Road to Nowhere, El Diablo, The Good Ol’ Boys Standalone Series, The VIP Trilogy, Tempting Bad, and Two Sides. M. Robinson loves her readers more than anything! They have given her the title of the ‘Queen of Angst.’ She loves to connect with her following through all her social media platforms and also through email! Please keep in touch in her reader group VIP on Facebook, if she’s not in there than she is on Instagram. She lives in Brandon Fl with the love of her life, her lobster, and husband Bossman. They have two German shepherd mixes, a gordito Wheaten Terrier and a user Tabby cat. She is extremely close to her family, and when she isn’t living the cave life writing her epic love stories, she is spending money shopping. Anywhere and everywhere. She loves reading and spending time with her family and friends whenever she can. Stay connected with her on social media!